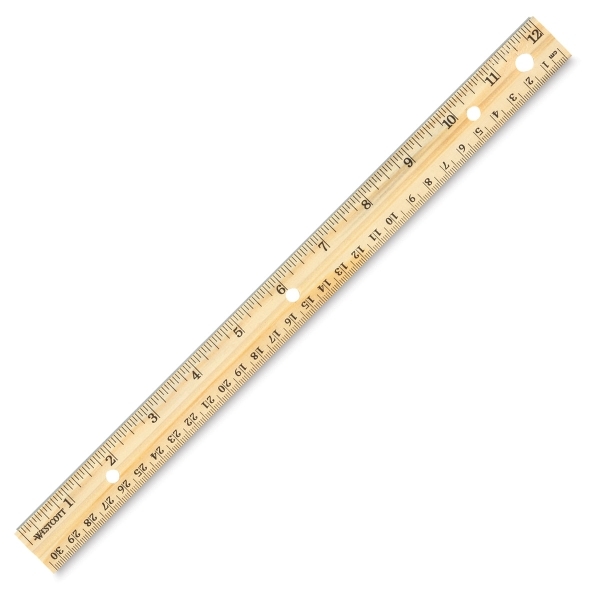 A classroom classic, this 12" (31 cm) long wood ruler has a clear lacquer finish and a single metal edge. Measurements are scaled in 1/16" on one side and metric on the other. Hole-Punched Wooden Ruler — The hole-punched style is designed for easy storage in a three-ring binder. ® Westcott is a registered trademark.® Westcott is a registered trademark.